Trivium Development LLC has landed another helping hand in its major redevelopment of a formerly “dilapidated” office building at 350 W. Wilson Bridge Road. In a multifaceted agreement between Trivium, Worthington, Columbus and Franklin County, Trivium will receive more than $450,000 in grant funding from the Columbus Region Energy Fund to help make the newly renovated building more energy efficient. 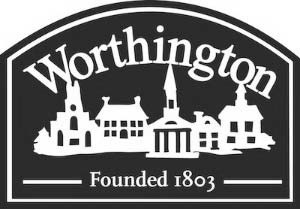 Worthington City Manager Matt Greeson said he was impressed with the collaboration involved in the deal. Spencer and Trivium have already been awarded more than $200,000 in grant funding from Worthington and a tax increment financing agreement that will redirect 75 percent of the site’s property taxes into a separate account to pay for a variety of improvements that will total more than $800,000. For Spencer, the costs of doing business on the site — after Trivium purchased it for around $2 million — made such incentives crucial. Jeff Harris, Worthington’s former economic development manager, began the process of creative help for Trivium more than a year ago and current manager David McCorkle and Greeson have continued to help orchestrate the projects. Spencer praised their help and the support from the city. Spencer said work on the building is between 80 and 90 percent complete, with drywall and parking lot work imminent. He said he hopes Central Ohio Urology — which will occupy the first floor — can begin moving in by the third week of December, while aviation company Wheels Up also hopes to move in by the end of 2016.